I love when Thanksgiving ends and you notice all of the lights and wreaths decorating the streets. The Holiday cheer really makes me want to dress the part every time we go out. 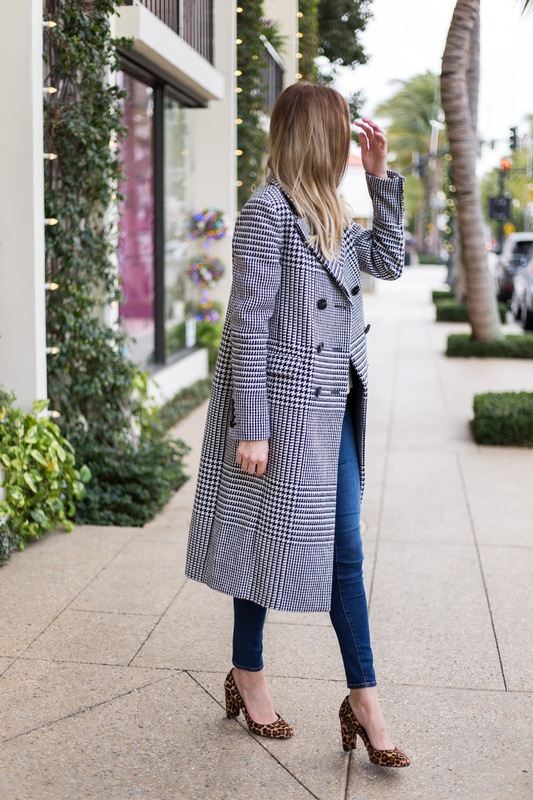 I saw this stunning long, plaid coat and instantly fell in love. 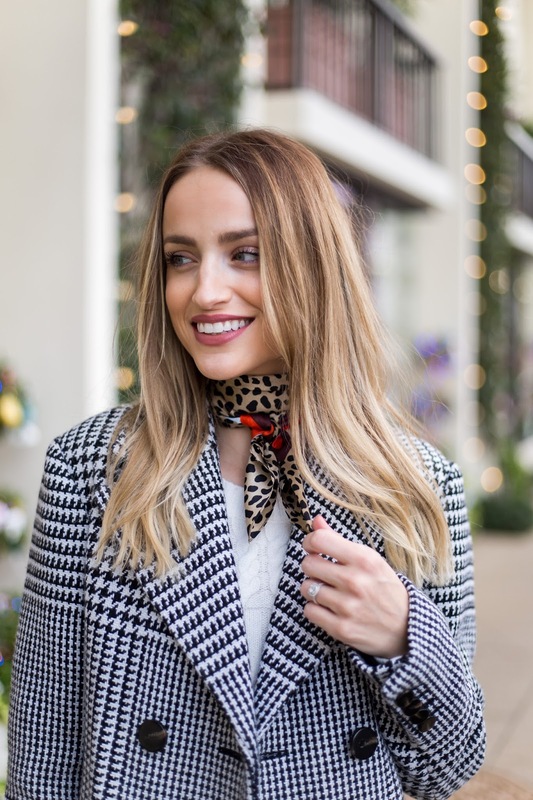 Being the lover of a good print mix, I went for touches of leopard in my silk scarf and pumps. Layered a soft, neutral underneath, but you could always go for a pop of color instead. 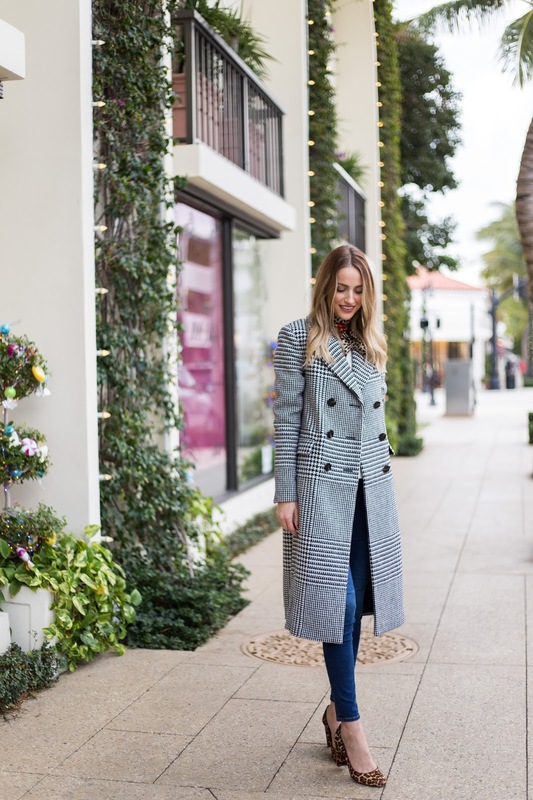 You'll have this coat as a staple in your wardrobe every winter, that's for sure. Take advantage of 50% off everything Ann Taylor, with code CYBER50. 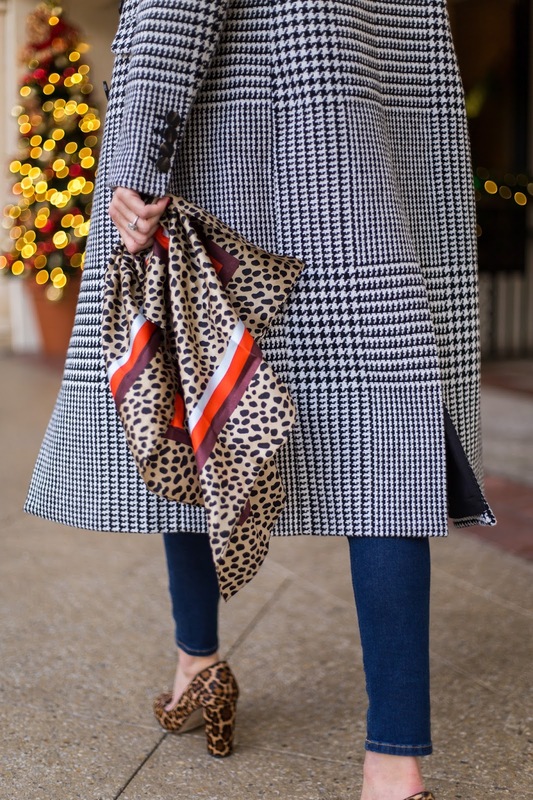 My leopard pumps are no longer available, but try these heeled boots for winter. This crewneck sweater is the softest sweater in my closet, with three color options available, it will quickly become your favorite. I also love this bell sleeve peplum, leopard jacquard sweater, and this reversible cape. If you're looking for holiday dressing selections, try this pleated skirt which would also come in handy for work, or a sequin pencil skirt if you're feeling fancy. I'm lusting after this red pleated full skirt, and just ordered for our Christmas cards.